Launched April 7, 2013, precisely one month after the closing of Google Reader, Inoreader is widely known as a RSS reader for advanced users. On February 7, 2019, the company decided to make significant changes to its pricing and to the coverage of its features. Let’s take a close look at this key moment for this young Bulgarian team. [On the photo: the Inoreader’s team. 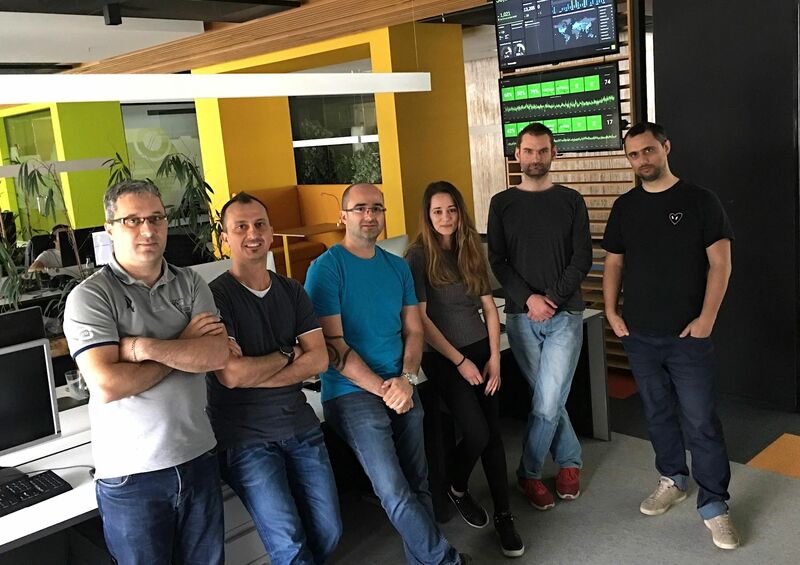 From left to right: Nikolay Alexandrov (servers and operations), Rosen Apostolov (customer support and Q&A), Yordan Yordanov (founder, DevOps), Kristiana Ruseva (design, frontend developer), Daniel Tsigularov (backend developer), Nikola Kostadinov (partner and frontend developer). RSS Circus: [THE PRICES AND FEATURES UPDATE] On February the 7th 2019, Inoreader announced a big shift in its plans and pricing, reducing the capacities of free and paid plans. In a recent email exchange, you told me: “the romantic days are over”, certainly meaning that your company could not remain viable (not to mention profitable) with the old offers. Could you elaborate what were those “romantic days”? And make us understand what your most important expenses are and how they have evolved over time? Yordan Yordanov, Inoreader’s founder. The “romantic days” I was referring to were mostly the first year or so of development of Inoreader when it was practically just me working around the clock to build the infrastructure, databases, backend, user interfaces, fix bugs and at the same time communicate with everyone on forums, Twitter and emails. To say it was exhausting will be an understatement especially since my second child was just born. But I felt it as a rewarding experience and I pushed through, hired people to help me and if it wasn’t for them, I would have burned out a long time ago and nothing would’ve been as it is now. Then there’s funding. We are practically a bootstrap company [meaning they started the business with their own funds and without external investors]. We have another line of business with B2B customers, which helps, but still one of our partners had to invest a lot so we can grow, hire people, buy lots of hardware and generally to support the operations. Our biggest expense is of course salaries for the people who constantly work on Inoreader. The team has changed a lot during the years with many people coming and going. The IT sector is very dynamic in our country and salaries are all-time high, a lot higher than when we started Inoreader back in 2013. Then there’s the hardware. You probably read our blog post about how we built our own cloud infrastructure. That’s not a cheap enterprise but was vital for us to ensure we can expand. Cloud RSS readers are deceptively complex. Behind the simple interface there are enormous databases spanning terabytes of data for a single instance. Ensuring a consistently fast backend response is not only a matter of fast code, but also lots of CPU and memory. The servers are our own, but we pay bills for collocation and storage support. We are also paying for other services, like Amazon AWS (for CDN), Azure and Google for translations and others. Did a particular (sudden?) event make you say… “It can’t go on any longer!”? Not exactly. It was more like a looming shadow in the last years. A topic nobody on the team wanted to bring, but everyone was sure something has to be done about it. We always wanted to stay focused on improving the service itself, add new features, optimize support and such and because things were somehow OK in terms of revenue, we continue ignoring the question about growth. However, we were also very aware that while our expenses were increasing with each year, our revenue from Inoreader didn’t scale that well and we knew that the biggest reason is the way we set up our pricing. Last year we finally sat down to think this through and after plotting our projected revenue we realized that we have to act and better sooner than later. [INOREADER’S STORY] What have been your personal career before Inoreader? And how Inoreader (Innologica?) have been funded? What were your financial support? I have been working in the Telecom sector for more than 10 years before founding Innologica. I have worked my career from field technician to manager of а whole IT sector where we were developing in-house software for the operations of the whole telecom. During those years I met my two current partners and because we were working so good as a team, we decided to start this enterprise, focusing on telecom software and consultancy, while Inoreader was still just my hobby project. We worked hard to sign our first deal with a big customer in the first months of the company, which helped us a lot with the funding, but one of my partners had to also invest a lot of his personal savings. We don’t have external investors and frankly we are not looking at this option as we want to be completely independent. How has the Inoreader team evolved over time? In the beginning it was just me, but I quickly realized I will need lots of help. I hired our first mobile developer in the first few months, because an Android app was the most requested feature. I needed someone to relieve me a bit from customer support even though I engaged whenever I can. I still read every single piece of feedback btw. So, I hired my first and still only customer support. Then I knew I need a talented designer, because I was designing all UIs at the beginning and I wasn’t particularly good at it. After that two more mobile developers joined, same with web developers, IT admins and some marketing people. At some point we were 12 people strong, now we are 6 with at least one new coming in April. I can’t say it wasn’t dynamic here in the last years, but even though the team is changing a lot, the core part is still here. We are particularly struggling with finding a good mobile developer right now. [TRANSITION PHASE] Lets go back to February the 7th. A risk, when we want to straighten the bar, is to go too fast, and too far, at the risk of alienating the user community. Wasn’t it conceivable to give free plans users some time (I mean months) to turn around? I am thinking in particular of the limit of 150 feeds (whereas there was no limit until now). Are the “old users” forced now to remove their “overflow” or this measure only apply to new accounts? The thought process on how to handle this continued for months here and it was exhausting for everyone. We knew that serious measures will be needed and at the same time we didn’t want to let people down. At the end it turned out to be an impossible task. We focused our efforts to limit the impact of the changes to a minimum group of users and I believe we achieved that with almost all features except Rules where due to wrong statistics on our end we cut them a bit too much. We raised the limit couple of days later after analyzing our data again and generally the response was very positive. However, our initial communication was not as good as I’d liked, mostly due to the fact that we were very tired of this long change and at some point, we just wanted to be done with it. This was a big mistake and one that I will personally remember for a long time – never rush a public communication, especially for big changes, no matter how tired you are. Directly answering to your question about feeds limitation – Yes, all users on the Free plan above the 150 feeds limit need to either lower their subscriptions or upgrade to be able to subscribe to new feeds. All other solutions that we thought of were ineffective. Initially we wanted the limit to be 100, because even 100 feeds can put a significant stress on the system if they are very noisy, but we saw that we will impact a lot of users that are not so heavy otherwise. By increasing the limit to 150 the percentage of affected users dropped drastically. [OUTGOING RSS FEEDS] What about the ability for free users to benefit from “outgoing” RSS feeds attached to tags. I know this have been used on several projects to connect Inoreader to an autoblogging process. When will they lose their feeds? This has also been a long-time issue here. We believe in supporting an open ecosystem, but at the same time there is the harsh reality. There were lots of accounts created with the sole purpose of aggregating content and exporting it via RSS. Those accounts were then not accessed in years (so not even considered active in our statistics), but their exports never stopped working and were aggressively crawled all the time. We are practically a powerhorse backend in this case, which puts quite a bit of stress into the system without any kind of revenue for us. We know we can’t (and don’t want to) monetize everything, but looking at our highest load contributors, RSS exports are quite high on the list. We gave a 1-month notice to all free users about the change and protected all Supporter accounts until their current period expires. [OPML EXPORT] Some users have been stressed because they thought you were suppressing the ability for free users to export their subscriptions via an OPML file. Could you confirm, it’s not the case? We saw this with our first small batch of emails that we sent and we added a clarification in the following email campaigns about that. Many users confuse RSS and OPML exports and they think that we will be locking them in, which is not true. It was never our intention to remove OPML exports or any other functionality that will prevent you from switching over to another service. We will always keep account export in the free plan. [OTHER FEARS?] What other concerns did you have to deal with? Our biggest fear is that publishers can eventually turn away from RSS. It doesn’t look to be the case for now as a lot of time has passed since people started proclaiming that “RSS is dead” and yet practically all major publishers still support RSS. Some smaller platforms however have abandoned RSS, but those are still minority. We don’t want to compete with Apple News or to become a substitute for reading casual news from your Facebook feed. We are focused a lot more at productivity and power users. [USER FORUMS] Inoreader user forums have long been highly appreciated for the quality of exchanges and the responsiveness of your team, both in the section dedicated to bugs and in the “feature request” section. Nov. 7, 2018, you’ve decided very abruptly to remove them. Can you first explain to us what led you to such a decision? I very easily imagine that this activity is very time-consuming, and that some tense exchanges can be daunting, but why such a radical decision, which can logically cause huge frustration and perhaps mistrust among your users? And how do you see the future of the relationship with your customers…? Do you think to restore the forums, perhaps reserving them to paying users? We wanted the forum to become a community of people who can help each other with various tasks that Inoreader allows. It sadly never reached the mass needed for this. At the end it drifted too much from its intended purpose and it was used by very few people (and I really mean less than 20!) as a means to get priority support and gain leverage on feature requests. We offer direct support from within all our apps and for all users. We just can’t support an official forum anymore at the same time. [BLOG POSTS AND DOCUMENTATION] Blog articles are a way to maintain a link with your users but also to attract new ones. Inoreader has tested several approaches: “how-to” on already established features, announcements of new features, partnerships… Why did you stop “how-to”? Time consuming? And what about the lack of documentation? Do you (like others, you’re not alone) consider that users must be able to fend for themselves, at the risk of missing out on interesting features or tips? A risk that increases since the end of the forums. I can imagine that the “right” communication/content mix is difficult to find! Do you think to evolve that in the future? At some point we had a dedicated person to write those blog posts. But this was for a short while, and after that we saw that even if we are covering a topic from end to end in a blog post, very few people actually go there to read it and still prefer to ask our customer support. We wanted to have short clips inside the application for some of the most important interactions, but just couldn’t find the time to do them. We were also advised many times that “a good app doesn’t need tutorials or help files”, so we preferred to clean up the UX as much as possible. I still think that the How-to section of our blog is very extensive, even if it’s a bit outdated. I am not sure that we will find the needed time soon to add more tutorials. [FEED FILTERING] Let’s lift the hood of Inoreader for a few moments. The RSS feed filtering feature is still one of the things that differentiates Inoreader from other online readers and makes it an interesting tool for advanced users. Feedly also offers filters, but remains – for now – a little behind by offering only blocking filters. However, in Inoreader, this feature remained a little “in the draft” state, in any case seen from the user’s side. Wouldn’t it be time to make this feature easier to use, in particular by allowing to name these filters (as is the case for the rules)? I must also confess that the way Yahoo Pipes worked on filters misses me: displaying the XML tags present in a feed and allowing us to choose which tag to filter. Is it complex to implement and very resource intensive? Filters in Inoreader came a lot later than Rules. We identified that lots of people were using Rules to suppress certain articles from their newsfeeds, but because rules could be quite tedious to set up (or even to discover in the first place) by new users, we decided to add an easier feature, like a stripped-down rule, just for filtering. The idea was to be able to just right click a feed, choose the option and then add your terms. Also, filters are one step further than rules in actual filtering. With rules you can only mark articles as read, and they pop up again if you view All articles. Filters however completely remove the articles, even from exported RSS feeds, which makes them more suitable for complete “rinsing” of feeds. This is quite complex under the hood. As you can imagine we can’t actually delete an article from our database as most feeds are shared between users and it will become deleted in their feeds too. We are however planning one major change in filters, but it’s still on draft. We want to make a separate section for filter in settings that will allow easier management and consolidate keyword filtering with the duplicate filtering that we currently have. It’s still early, but we are certain that at some point there will be a big effort to improve this. [THE FUTURE] I imagine you are entering a consolidation phase and it will take some time to look at the future more clearly. What are the next steps? We haven’t stopped working on Inoreader and in fact we are working on something really big for quite some time now. I really hope we will be able to show it in the coming months. So next steps are to double our efforts into this instead of thinking about business and sustainability. This interview has been realized during March, 2019. I firstly wanted to have a “chat interview” to let Yordan take time to think about the answers, but letting a “live” feeling. Since our agendas have proved to be incompatible, I’ve decided to send questions by mail, taking care not to ask complacent ones. We agreed that I could ask him to clarify some of his answers. When I’ve received them, I didn’t think it was useful to go further. S’il y a bien une solution RSS qui vaut un abonnement, c’est Inoreader. Je n’ai pas encore trouvé mieux aujourd’hui !